From October 2015 until October 2016 the Wellcome Collection in London is curating an exhibition called States of Mind: Tracing the Edges of Consciousness. It has been launched with a brilliant piece of installation art by Ann Veronica Janssens (until 3rd Jan 2016). In YellowPinkBlue the entire gallery space is invaded by coloured mist, to focus attention on the process of perception itself so that one becomes subsumed by the experience of seeing. I’m excited to be contributing in various ways to States of Mind, via the Sackler Centre (more on that soon). To start with, here is the text I wrote for Janssen’s remarkable piece. What in the world is consciousness? Right now an apparent miracle is unfolding. Within your brain, the electrochemical activity of many billions of richly interconnected brain cells – each one a tiny biological machine – is giving rise to a conscious experience. Your conscious experience: right here, right now, reading these words. It is all too easy to go about our daily lives, having conscious experiences, without appreciating how remarkable it is that we have these experiences at all. 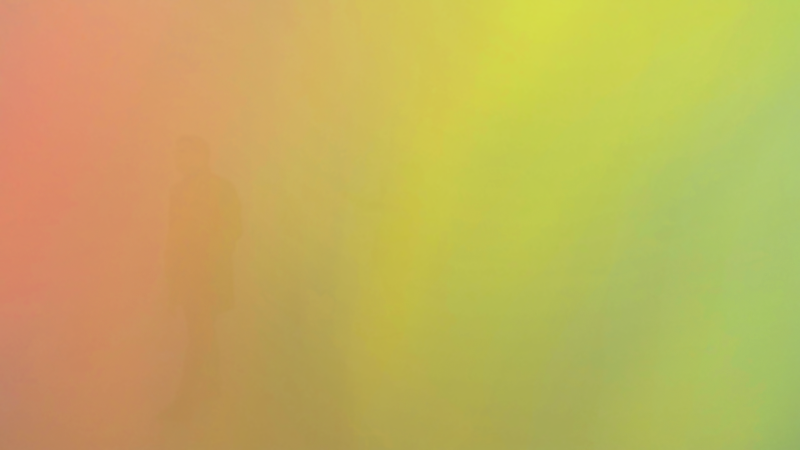 Ann Veronica Janssens’s piece returns us to the sheer wonder of being conscious. By stripping away many of the features that permeate our normal conscious lives, the raw fact of experiencing is given renewed emphasis. People have wondered about consciousness since they’ve wondered about anything. Hippocrates, the Greek founder of modern medicine, rightly identified the brain as the organ of experience (though Aristotle didn’t agree). In the Renaissance, Descartes divided the universe into ‘mind stuff’ (res cogitans) and ‘matter stuff’ (res extensa), giving birth to the philosophy of dualism and the confounding ‘mind–body’ problem of how the two relate. In the 19th century, when psychology first emerged as a science, understanding consciousness was its primary objective. Though largely sidelined during the 20th century, the challenge of revealing the biological basis of consciousness is now firmly re-established for our times. Janssens’s piece reminds us of the important distinction in science between being conscious at all (conscious level: the difference between being awake and being in a dreamless sleep or under anaesthesia) and what we are conscious of (conscious content: the perceptions, thoughts and emotions that populate our conscious mind). There is also conscious selfhood – the specific experience of being me (or you). Each of these aspects of consciousness can be traced to specific mechanisms in the brain that neuroscientists, in cahoots with researchers from many other disciplines, are now starting to unravel. There are many exciting ideas in play, ranging from the dependence of conscious level on how different parts of the brain speak to each other, to understanding conscious content as determined by the brain’s ‘best guess’ of the causes of ambiguous and noisy sensory signals. Crucially, these ideas have allowed consciousness science to progress from the philosopher’s armchair to the research laboratory. Besides the allure of basic science, there are important practical motivations for studying consciousness. Neurological and psychiatric disorders are increasingly common and can often be framed as disturbances of conscious experience. Consciousness science promises new approaches and perhaps new treatments for these scourges of modern society. New theories and experiments can also shed light on consciousness in newborns and in non-human animals, adding critical information to important ethical debates in these areas. But above all, consciousness science carries the promise of understanding more about our place in nature. Following Darwin and Copernicus, a biological account of conscious experience will help us see ourselves as part of, not apart from, the rest of the universe.